I would have picked Tchani even if he didn't top my player rating system. The guy was reborn under Berhalter. Many will probably forget that he took something of a $100k pay cut last year, coming off a Generation Adidas contract. Fewer still will remember that he was a player left for nothing last year under Robert Warzycha, Brian Bliss and the Hunt Sports Group. Tony Tchani. 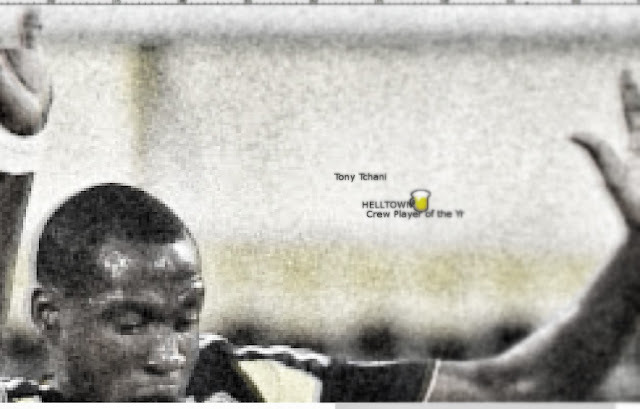 My 2014 Helltown Beer, Crew Player of the Year. On the right hand column of this site is my player ratings. I've used the same system since 2011. If you want to see them all (along with basic stats, go HERE). Larry, Tchani is certainly this years mvp. Nice choice. If he starts putting 5-6 goals per year on his stat line he will be one of MLS's best. Major League Soccer Players Walk the Picket Line!